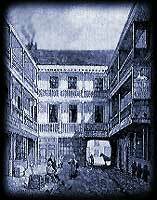 The White Hart Inn-yard theatre was located in Southwark following the Road down from London Bridge. 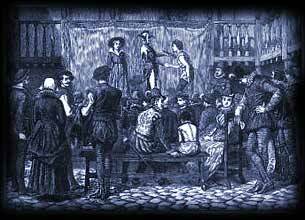 Play performances took place between 1576 and 1594. This particular Inn played an important in history and in William Shakespeare's play Henry VI. The rebel Jack Cade chose the White Hart Inn for his headquarters.